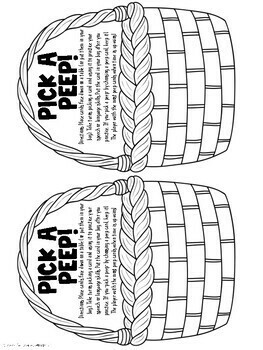 Pick a Peep! 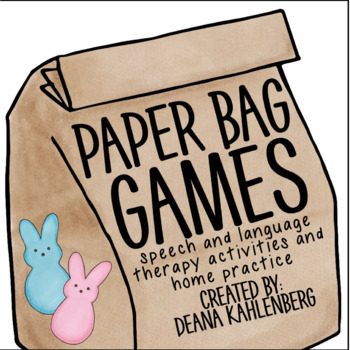 Practice articulation and language skills with this fun speech therapy activity. 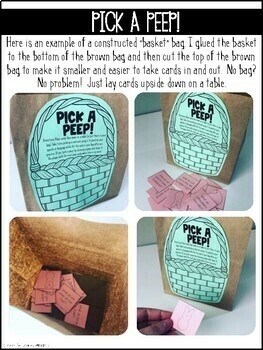 NO PREP and perfect for mixed groups. Be sure to check out the preview! 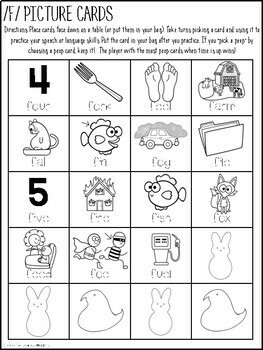 The following speech and language targets are included with one page of stimulus cards for each skill. All articulation phonemes are targeted in the initial position only with the exception of vocalic /R/. Language Skills: regular plural nouns, irregular plural nouns, irregular verbs, regular verbs, WH- questions (what, where, when, who, why and mixed), object function, following directions (1, 2 and 3-step), categories, compare/contrast, synonyms, antonyms, multiple meaning words, adjectives, comprehension questions, pronouns, spatial concepts, problem solving, what doesn't belong?